The Joint Admission and Matriculation Board (JAMB) require all admitted students into any Nigerian Higher Institution to get the verified and original admission letter issued by the board. This document certifies that JAMB has offered you admission into the Nigerian Tertiary institution Stated on it to run a degree programme. The admission letter issued by JAMB (the board that is responsible for Admission and Matriculation into the Nigerian Tertiary institutions) contains candidate’s admission status such as Institution, Faculty, Department, Level, the Degree Program such candidate is pursuing and the duration of the course. This document is a proof that you have been offered admission into any tertiary institutions in Nigeria. This document is vital since it will be needed to complete your admission registration and clearance, it will be needed to approve and deploy you for the National Youth Service Programme (NYSC), and this document will be needed in case you were offered scholarship in the course of running your degree program. With these, you need to avail yourself with this Admission letter and make sure you protect it. 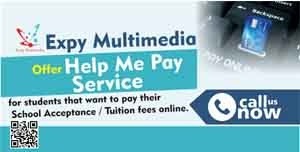 We can be of assistance to you in case you haven’t gotten your admission letter. JAMB admission letters from 2004 till date are currently available. 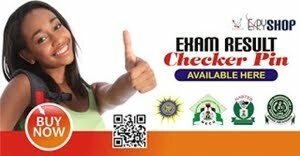 We will get you the original and verified admission letter from JAMB and send it to your email address. • The document will be safe in your email inbox and you will be able to access it anytime you need another one.